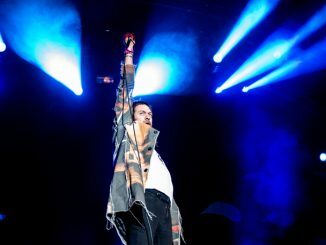 Music fans were divided when Kasabian were announced to close the legendary Glastonbury festival at Worthy Farm on the Sunday night. When Metallica were announced to headline the penultimate show on the Saturday night, the controversy of a heavy metal band playing Glastonbury ensued to take the heat away from the boys from Leicester. The divide was totally unnecessary! Because there is no better British band around today who could close the festival other than Kasabian. Lead vocalist Tom Meighan doesn’t need to comb his hair in an Elvis quiff and use a faux American accent to smash Glastonbury, because Kasabian are real. When they turn up on the night armed with these songs, fans will be in for in for a belter tune fest, 48:13 (named after the total length of the album)is going to be the soundtrack of the summer. 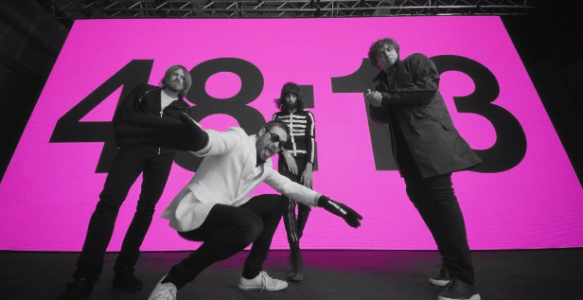 Kasabian have moved on from Velociraptor with more sonic experimentation and a fusion of indie rock, distorted electronics blended with earth shattering beats. 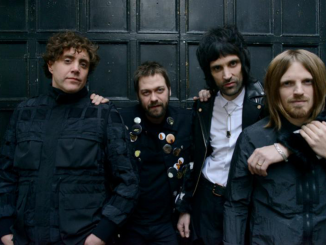 Written by Serge Pizzorno in his home studio in Leicester, singer Tom Meighan was left speechless when he first heard the music. We are led into a false sense of security with the cinematic Blade Runner-esque instrumental intro of Shiva, then suddenly the senses are well and truly blown away when the fat beats of Bumblebeee kick in, it’s a heavy mofo! Toms distorted vocal sings “When we’re together I’m in ecstasy” before it climbs up to monster chorus with a massive drop and some nice Pauls boutique style instrumentation. This track is pure single material and is destined to be a Kasabian staple. Stevie is a big thumping tune with the most down to earth song title ever and a great sing along chorus “We live to fight another day”. Doomsday comes in with a reggae vibe and thumping beat. The centrepiece of 48:13 is Treat, and this track really is, it starts off with a Prodigy keyboard sound which weaves throughout the tune. Serge and Tom share more processed vocals singing “Everybody knows I work it like a treat” over a pounding drum and bass. The best bit is when it breaks down into a lengthy throbbing bass with driving beat, over hypnotic trance synths. Serge is asking “save me from this world” in the pulsating melancholic Glass. 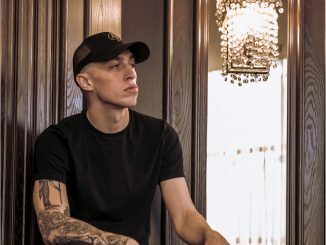 Halfway through there is a spoken word rap by Suli Breaks, I’m not normally a fan of songs with someone rapping in the middle, but this one is ok after a few spins and it fits in well. First single Eez-eh is a wonderful fun pop moment with nonsense lyrics about being watched by Google, it will have the ravers pulling faces and bouncing all over festival fields this summer. Kasabian have made a record of amazing soundscapes and melodic anthems and have proved are more than a lads band and they can appeal to a greater audience, this is their best album yet. Once you immerse yourself in the music, 48:13 comes too soon.